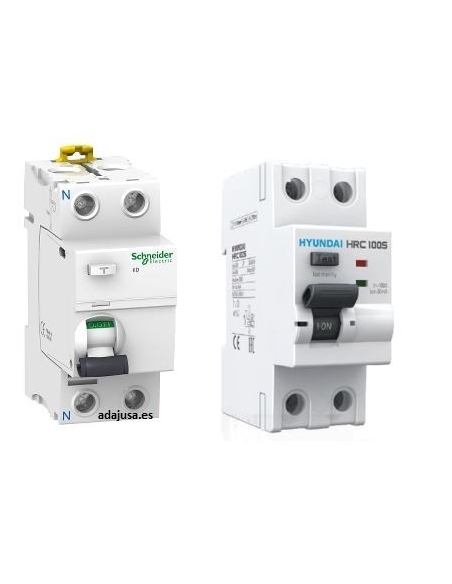 The high immunity 2-poles residual current circuit breakers (RCCB) you are looking for. 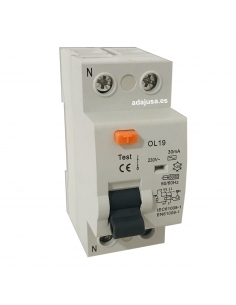 If you need a 2-poles residual current circuit breakers device (RCCBs) for electrical applications of domestic, tertiary or industrial use this is undoubtedly its section. 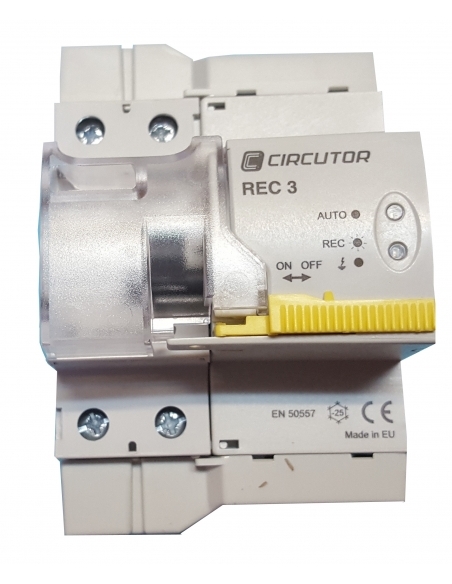 Here you will be able to find a great variety of high quality residual current circuit breaker (RCCB) whose rated current from 25A to 100A, and they have a sensitivity of 30mA and 300mA, standard type AC, immunized type A and superimmunized (SI), with a power of cut of 6KA or 10kA. At Adajusa we only put at your disposal high quality electrical mechanisms that assure you the efficiency and safety that any electrical installation, of greater or smaller dimension needs. 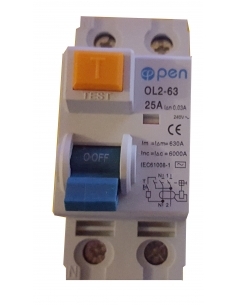 Our bipolar differentials comply with strict security controls in order to guarantee the safety and efficiency that your electrical installation and you need. Bet on safety and purchase here the 2-poles residual current beakers device (RCBs) al you need. 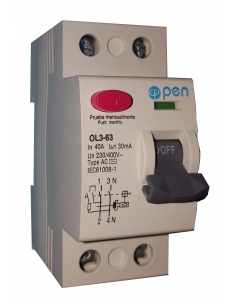 1+N-pole residual current breaker RCB, high sensitivity 30mA (0.03A). Standard type "AC"
1+N-pole residual current breaker RCB, high sensitivity 30mA (0.03A). Standard type "A"
1+N-pole residual current breaker RCB, high sensitivity 300mA (0.3A). Standard type "AC"
1+N-pole residual current breaker RCB, high sensitivity 300mA (0.3A). Standard type "A"
Self-resetting 2-pole differential, high sensitivity 30mA (0.03A). Class "A" immunized. Recommended use in homes avoiding the problems generated by the lack of electricity supply by untimely shots of the differential (loss of food, alarm systems, sewage ...). 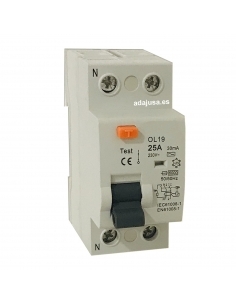 Diferencial monofásico, de 2 polos, 25A 30mA (0,03A) Clase AC. Tipo electromagnético, lo cual permite no perder la protección en caso de variaciones en la tensión de entrada y mantener la protección de la fase activa en caso de perdida del neutro.